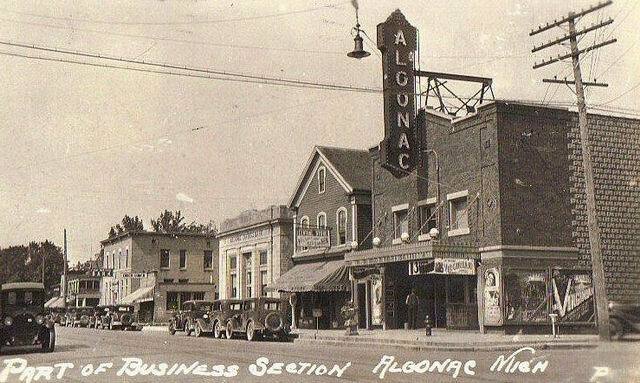 Opened as the Classic Theatre in 1914 Renamed the Algonac Theatre in 1933 Seats: 400. Based on the films listed on the marquee, this picture would have been taken in 1957. This old downtowner appears to have been quite pleasing to the eye, it would have been interesting to see the interior of this old house I am sure. 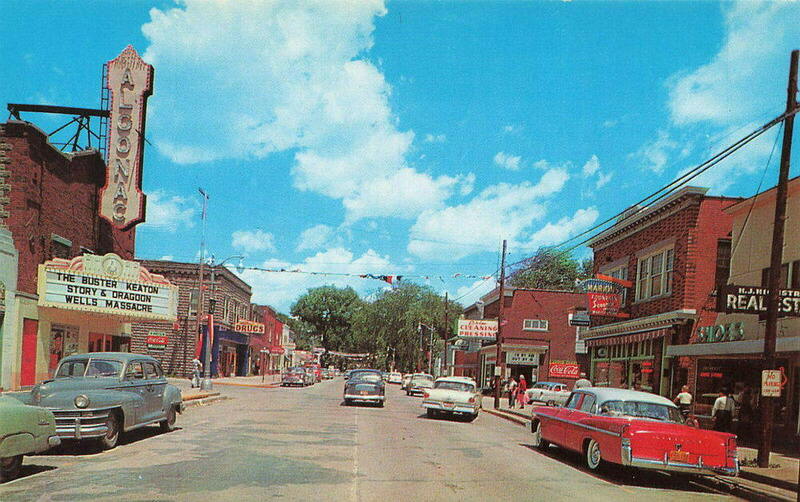 Unfortunately, there was no trace of the theatre or anything else in this picture when I recently visited Algonac. 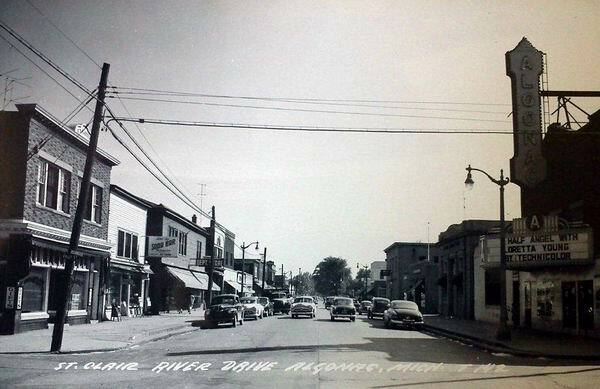 It appears that strip malls and drug stores have replaced what was once a very quaint downtown area.